Why Not Regulate The Press? Recent developments have resulted in the Senate’s leadership managing to give just enough bribes and throw enough of the progressive parts of the legislation into the fire to assure themselves of passage. Having greased the wheels with pork fat, the Democrats now have the 60 votes necessary to break the endless Republican filibuster. This is good news. While the legislation is an utter dog’s breakfast, it is a step in the right direction. The legislative sausage-making process usually highlights the extreme division between incrementalists and revolutionists. I generally count myself in the latter camp – incremental change is invariably used as an excuse to never reach the goal – but as far as the USA is concerned, there is no such thing as revolution in legislative terms. The main reason being, of course, the nature of the US Constitution. A constitution I’m a big fan of, except for the obvious bits us lefties hate. Damn you, Second Amendment! The whole point of the American system is to slow change to an utterly glacial level. Some argue the most radical reforms have come as a result of judicial decisions, and that would be fair comment. And in recent years, the pace has slowed even further due to the extreme lengths Republicans in the minority in the Senate are using the power of the filibuster. The filibuster, which is of debatable constitutionality, and is now the normal order of business, even though that was never its intended purpose. So getting anything through Congress, in the face of Republican opposition which has sullied the level of the debate to new lows: socialism, death panels, enormous deficits (despite them being created by Bush), is a major achievement. A Republican opposition which chose from the outset to do its best to destroy the healthcare reform agenda rather than engage in a debate the country desperately needs to have. The worry to liberals like me, however, is that this is probably as good as it’s going to get. And this is why Obama should have engaged harder in this process. He has to appreciate that this is very likely to be his high water mark in terms of the support he’s going to get from Congress. It’s all downhill from here, and by the end of his second term (let’s stay hopeful) he’ll very likely be dealing with a Republican Congress, more right-wing than ever. What next, then? Well, the hope of progressives has always been that the Senate and the House would come to a compromise between their bills, one very centrist, the other a bit more radical, though still very mild. That isn’t going to happen. The Senate will not accept more than a minor tinker to their version. And the Progressive caucus in the House will give up their pretend opposition to more gifts to the insurance industry, as they always do. 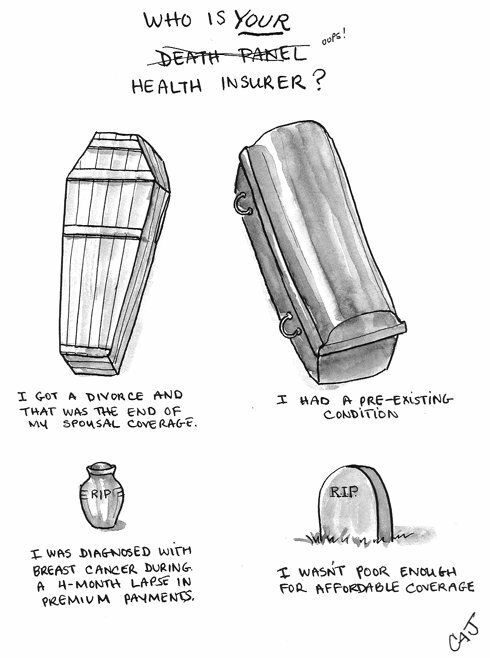 So America will get some healthcare reform. This is very good progress. But there will be no appetite for reopening the issue any time soon. And meanwhile, other issues will return. Climate change. More stimulus. Immigration reform. More opportunities for the Senate to delay and destroy the only chance America has for genuine reform in the next decade. Psephologists worldwide are always excited when it’s a US election year. The main reason is that nobody does elections quite like the States. Big spending, big personalities, big media agendas, vast levels of polling data, unbelieveable detail in demographic targeting. And certain races catch the eye to become real battles getting the Hollywood treatment. So next year we’re in for a treat. Not only will we see the demise of the Labour government, but later on in the year will be the first genuine test of how the USA will react to the so-called Democratic supermajority control of the legislature and the executive branches for the first time in some decades. 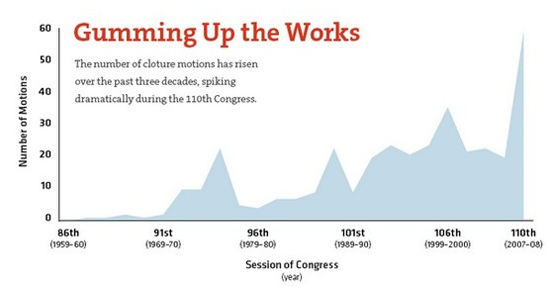 Elections to the US House of Representatives happen every two years. This pretty much means that as soon as they’re elected, the poor buggers have to go out and start campaigning again. Luckily, they’re helped by extremely favourable incumbency rates. But to some extent, they’re favourable for a reason: they work hard to bring home the bacon to their district. With that in mind, the vast majority of Congress members will have been doing as much they can to raise the cash for next year’s election. However, certain races have the luxury of being the recipient of campaign cash from the national parties. And, at the moment, only one side of the aisle has the readies… at the ready. On top of that, certain races get lots of attention from the netroots, which can raise extremely large sums of money at the drop of a hat. Well, this survey (bottom of the post) gives us an answer. 40% of Democrats say they’ll either be “not likely” to vote, or definitely won’t vote. On the other side, just 14% of Republicans say the same. And when you consider that there are more registered Democrats than Republicans, that’s a lot of apathy amongst the Democratic base. Generically, Democrats still hold the lead. But there are a lot of people who are very upset with both parties in Congress. Democrats can only hope that they either don’t vote at all, or choose not to take their anger out on the Democrats by voting Republican, in the usual protest vote strategy that one normally sees at a mid-term election. In any case, elections aren’t fought generically. They are personal battles. And in the heart of the Republican party right now is an ideological one as well. This is very likely to result in much more conservative candidates than usual. Will that appeal to mainstream America? Or will the fired up nature of the Republican base get the Democrats out in force too? And yet, while Democratic popularity has taken a nosedive over the last few months, courtesy of Congressional failures to get healthcare reform rolling, and a resurgent Republican party lying about every issue under the sun, they haven’t covered themselves in glory. Americans have extraordinarily unfavourable views of the Republican leadership – and a 70% unfavourable view of the Republicans in Congress in general. How, in such circumstances, could the Republicans possibly gain? The answer lies in whether Obama can find it within himself to deliver the goods to the nation. He seems to be forgetting that just a year ago his agenda was given a very positive reception by the American people. An agenda that was far more progressive than what is currently making its way through Congress. He is wasting his mandate by not insisting on the policies that the American people actually voted for, and which continue to be popular in national polling. Healthcare reform is key, but so is the environment, and, of course, getting the economy up and running again. Which means getting people into work. Governing is a far more difficult job than campaigning. But what’s disappointing so many of us Obama fans right now is that we believed that if anyone could thread the needle, if anyone could use their leadership skills to bring Congress on his side, it would be Obama. A year to go, and there’s all to play for. But if Obama messes the 2010 election up, his presidency will be effectively over before it’s even started. America can do without that. No, not Michael Palin, unfortunately, but our gal Sarah. Some opening remarks: she is crazy. I mean, absolutely crazy. How can anybody watch these two videos, where she unleashes a stream of consciousness, scrawled down onto a teleprompter, comprising a torrent of verbal diarrhoea, ceaseless non-sequiturs, botched metaphors, effortlessly seguing from one subject to another, delivered in a breathless, swivel-eyed frenzy. And relax. Now I’ve got that off my chest, I think I ought to turn this post over to the woman herself. These words are taken exactly from the second video linked above. How far can you get before you give up? And getting up here I say it is the best road trip in America soaring through nature’s finest show. Denali, the great one, soaring under the midnight sun. And then the extremes. In the winter time it’s the frozen road that is competing with the view of ice fogged frigid beauty, the cold though, doesn’t it split the Cheechakos from the Sourdoughs? And then in the summertime such extreme summertime about a hundred and fifty degrees hotter than just some months ago, than just some months from now, with fireweed blooming along the frost heaves and merciless rivers that are rushing and carving and reminding us that here, Mother Nature wins. It is as throughout all Alaska that big wild good life teeming along the road that is north to the future. That is what we get to see every day. Now what the rest of America gets to see along with us is in this last frontier there is hope and opportunity and there is country pride. Did any of that make any sense? Perhaps it’ll make more sense if William Shatner reads it. Can this person seriously be considered a candidate for the highest office on the planet? No, I’m not talking about Shatner, though he would make a pretty cool President. But, apparently, she has a lot of fans over there. There are a significant number of Republicans who like her, so much so that her acolytes are preparing a strategy to get her into the White House. Why else would she depart the governor’s mansion in Alaska? It’s clear she has bigger ideas, and being stuck way out west was playing havoc with those very plans. There were some, including me, who had thought her crushing defeat last November would be the end of her and she would drift away back into the obscurity from which she was plucked by a clearly batshit John McCain. After all, McCain could easily have dropped dead at any time over the next four years. No – it seems my hope of her disappearing is not going to happen. But I think I’m going to credit Americans with some intelligence. They may have elected George W. Bush. But I don’t think they’ll ever elect the Palindrone.